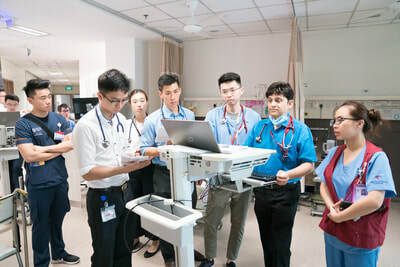 Today sees the start of the inaugural two-day Transform MedEd conference at LKCMedicine's Novena campus that registered more than 350 delegates from 15 countries. Jointly organised by LKCMedicine and Imperial College School of Medicine, this event gathers leading medical educators, healthcare professionals and medical students to discuss the future of medical education through plenary sessions, symposia, workshops, short comms and poster presentations. Opening the conference, conference co-chairpersons Prof Naomi Low-Beer, LKCMedicine Vice-Dean for Education, and Mr Martin Lupton, Vice-Dean for Education said, 2018 "… is very special, both for LKCMedicine and Imperial College. It is the year that our first students graduated as doctors. It is also special because this is the inaugural year of the Transform MedEd Conference, which will alternate between London and Singapore in the future." NTU President and Distinguished University Professor Subra Suresh expressed his support of the inaugural event in his welcome address, saying this innovative conference looking at how the Industrial Revolution 4.0 will impact the future of medical education and healthcare industry, without losing sight of patient-centred empathetic, compassionate care is timely. He said, "We have an opportunity to transform education – whether by choice or not – we should not let opportunities that come about because of crises or disruption go to waste, as Rahm Emanuel famously said. We need to ask ourselves, are our doctors sufficiently trained in probability statistics and in quantitative reasoning when technology forces us to be more quantitative; and what makes us human? We may not get definite answers at this conference but we can start the conversation." Imperial Vice-Provost (Education) Simone Buitendjik in her following speech, said, "Things are changing and this conference is proof of that. To get medical education right in this time of global challenges is more important than ever." Keynote speaker Professor Dame Parveen Kumar, Professor of Medicine and Education at the Barts and London School of Medicine and Dentistry, Queen Mary University of London, aptly kicked off Day 1 of the conference with her provocative title "Time to ditch the textbook?" She asked whether with the prevalence of online content, would textbooks still have a place in education. "Textbooks online are now interactive, so it's important to have one for curated content by experts. After that, you can take it further however you want to." The ensuing panel discussion that followed, anchored by Prof Dame Parveen with panelists Luke Kang Kwong Kapathy, Chair of School of Humanities, & Associate Dean (Research), College of Humanities, Arts & Social Sciences; Gideon Shimshon, Director, Digital Learning Hub at Imperial; and Adrian Freeman, Professor of Medical Education (E&S), University of Exeter Medical School; tackled questions such as the ownership of the textbook, the prevalent use of seniors' notes and improving students' diagnostic skills. In wrapping up the discussion, Prof Parveen concluded that the three most important points to her in the face of burgeoning medical knowledge is to be nimble, open-minded and "learn how to learn." The rest of the day breaks into plenaries, symposiums, workshops, poster presentations, and short communications sessions. All the sessions were well-attended, so much so that burning questions asked after various presentations threatened pleasantly to make speakers overrun their allotted time, especially during short communications where each speaker only had 10 minutes each. With artificial intelligence and the Industrial Revolution 4.0 possibly challenging the standard modus operandi of medical education and disrupting healthcare, the short communications session on Immersive Learning in Medical Education and the symposium Artificial Intelligence in Medical Education were well received. The first busy but productive day of the inaugural Transform MedEd ended with a sit-down fully subsribed dinner reception in the Multipurpose Hall where LKCMedicine Dean Prof James Best gave a short welcome to the delegates, thanking the conference chairs LKCMedicine Vice-Dean (Education) Naomi Low-Beer and Imperial Vice-Dean (Education) and Head of the Undergraduate School of Medicine, as well as LKCMedicine Director of Communications and Outreach Siti Rohanah Koid, who heads the local organising committee, for their hard work. Emeritus Professor of Clinical Anatomy at Warwick Medical School then proceeded to regale the delegates with his entertaining talk titled "The Tiger Bronzes of Michelangelo: an anatomical whodunnit" to much laughter and entertainment. Delegates arrived in a highly anticipative mood early on day 2 having had a taste of the previous day's conference where the flow of fruitful discussion in all the plenaries, symposia, short communications and workshop sessions gave rise to much food for thought. The second day's programme began with a panel discussion on "Transforming Healthcare Through Our Graduates" involving four more esteemed medical educators, moderated by A/Prof Nigel Tan, Deputy Group Director for Education, SingHealth. Professor Dato Dr Adeeba Kamarulzaman, Dean of Universiti Malaya's Faculty of Medicine talked about curricula change and the need to include technology, perhaps telemedicine and mHealth, but balanced that with saying, "We will find that as we use more technology, patients will expect more of doctor-patient relationships." Dr Dujeepa Samarasekera, Director, Centre for Medical Education at NUS Medicine talked about the need for faculty development for teaching transformation, "Engage, create systems and processes, give them support and due recognition for efficient, effective, empathetic, caring thinker-physicians to produce doctors likewise." LKCMedicine A/Prof Josip Car, Director of Centre for Population Health Sciences talked about the technological gap. "The second most-searched topic online is health. In terms of giving the right information to patients – nowadays still in the form of pamphlets — electronic health record, data collection, video consultations and decision boards to help patients with managing their chronic disease, more can be done with the tech tools we have currently." Imperial Vice-Provost for Education Prof Simone Buitendijk spoke about the importance of leadership, "Universities are not just about research but also about training the next generation of leaders. We need to develop a joint shared vision. Also, to ensure a healthy and happy faculty and students there is a need for empathy, duty of care, help and support and also, trust." A few burning questions were taken from the floor covering the need for interdisciplinary collaboration in the field of data science and should faculty be teaching this generation of "tech natives". Over these two days, a total of 10 workshops has taken place as part of parallel sessions. 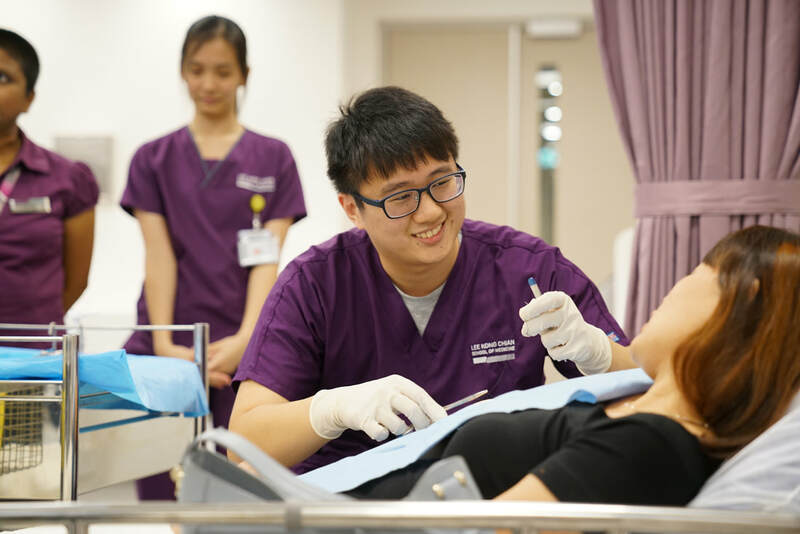 Workshops are opportunities for delegates to roll up their sleeves for some hands-on experiences at tackling under guidance from LKCMedicine and Imperial faculty, and visiting experts. 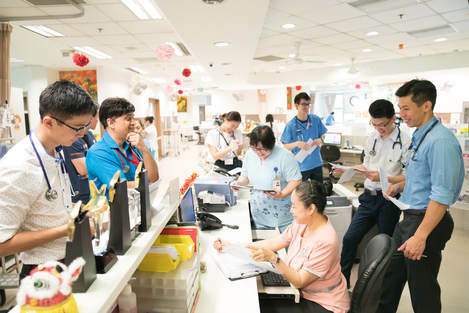 Two teaching tools that are part of the LKCMedicine curriculum form the basis of two of the workshops on day 2: Using Games in Medical Education and Putting the Patient in the Centre: Simulated Patient (SP)-based scenario writing for Realistic Portrayal. Both received great participation from delegates. The Games workshop was facilitated by Ms Ramani Saravanan from LKCMedicine, and Ms Giskin Day and Dr James Moss from Imperial. "Playing for Education encourages spontaneity, promotes engagement, increases creativity and allows for failure," said Ms Day. Delegates were divided into their groups by Ms Ramani via a medical-symptom acting game, then tested on their teamwork with a passing-objects game using forceps held in their non-dominant hand. Ms Day put the groups through an art and medical condition game where delegates had to think of creating a creative work based on a disease while Dr Moss got them to create games and evaluate those created by other groups. The SP scenario writing session led by LKCMedicine Assistant Dean of Clinical Communication Training & Student Welfare Dr Tanya Tierney with Professor of Surgical Education, University of Melbourne and Professor of Simulation Education at Monash Debra Nestel; and LKCMedicine's Dr Diana Barron and SP Shen Ow got off to a strong start with a vigorous discussion on factors that add to realism as well as difficulties. The group then proceeded — after various thoughts shared by the facilitators — to write their own SP scenario. The conference's last panel discussion revolved around the topic "The Medical Student Overseas: Who Benefits?" Moderated by LKCMedicine Dean Prof James Best, the panel comprising Prof Dame Kumar, LKCMedicine Assistant Dean for Year 5 A/Prof Tham Kum Ying, Imperial Professor of Public Health Helen Ward, LKCMedicine MedSoc OCIP head Mr Paras Bajaj – a Year 2 medical student – and Imperial Year 4 medical student Ms Li Yu Meng talked about the value, purpose and sustainability of medical students going overseas for community healthcare projects. The inaugural Transform MedEd closed with a prize-giving ceremony for best posters and short communications. Congratulations to the winners! The conference Co-Chairpersons Prof Low-Beer and Mr Lupton brought the conference to a close by thanking everyone who has worked on it. "With 393 registrations from 15 countries, 1 keynote, 4 plenaries, 4 symposia, 10 workshops; and 104 abstracts submitted with 54 selected for poster and 35 for oral comms presentations, the conference was a bigger success than we had imagined. 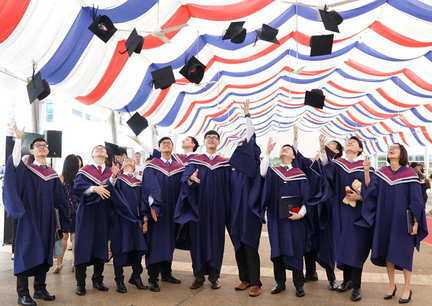 Thank you to all who worked on this over the past year," said Prof Low-Beer. "See you in spring, 2020!" quipped Mr Lupton. For more pictures from the conference: click here for Day 1. Click here for Day 2. What will you be presenting at the inaugural Transform MedEd conference? I will focus on how students learn because most teachers still only have a limited understanding of how the brain processes and retains knowledge. That’s why many continue to rely on lecturing as the primary method of instruction. But lectures are based on the fallacy of information transmission, i.e. the concept that students will remember what the teacher says and means. However, what students retain from lectures is their interpretation of it. This often results in the transmission of broad principles, but the details and context, which can be crucial, are often not retained. Even if a student can remember everything from a lecture or every word from a textbook, that is not enough for learning to take place. Students have to apply what they learn in order to process and retain new knowledge. So how do students learn best? Students learn best when they are actively engaged. Creating a learning environment where students have to apply what they have learnt in small group discussions is one of the most effective ways to actively engage them. Such an environment creates ample opportunities for students to retrieve what they have learnt and elaborate on it during discussion with their peers. This trains them to recall and integrate new knowledge and allows for deep learning to take place. What is the latest trend in learning? 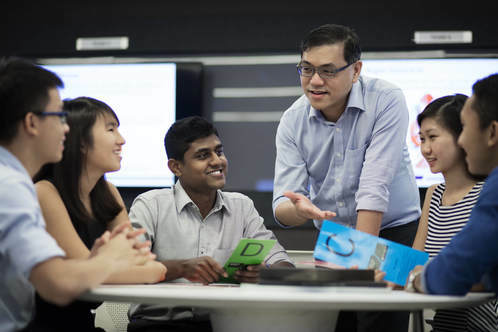 Team-Based Learning (TBL) is undoubtedly the latest trend that has emerged as best practice when it comes to creating a learning environment that actively engages the learner. It contains components of independent study and assessment, peer discussion, application of knowledge and teacher feedback, all of which are core to making learning more effective. In addition, TBL is based on small group learning, which creates opportunities for all students to consolidate and reconsolidate new knowledge so that it can form a permanent part of their memory. I will be speaking on the graduate attributes that need to be developed and inculcated for young doctors to become health advocates of the future. What are the trends in medical education to look out for, or new pedagogies trending in the teaching of medical students to prepare them for the healthcare of tomorrow? Attention needs to be given on the impact of technology in healthcare and in equipping medical students in this arena – e.g the teaching of medical/health informatics while at the same time ensuring that attention to essential skills and attributes such as communication, empathy, compassion are emphasised. What is the biggest issue facing medical education today and how can this issue be overcome? There are many challenges facing medical education today including internal challenges such as the focus on disease to the relative exclusion of behavior, and inpatient versus community / primary care education, the exponential growth in knowledge, associated technologic (“disruptive”) innovations, and societal changes – the ageing population chief among them. As far as change is inevitable, what aspect of medical education do you feel educators should not lose sight of when training the doctors of tomorrow? That at the heart of it, we want doctors who make patients and those around them their primary care and concern. What is your take on the relevance of this conference? This conference aims to generate ideas and discussions on the necessary transformation needed in medical education to meet current day demands in healthcare. I think this is indeed very relevant as the traditional way of teaching and training will no longer be adequate and relevant as we move towards a more technologically based society coupled with changing demographics and disease patterns. I'll be speaking about the 'active' engagement of real patients in medical education although their engagement is mediated by 'simulated patients' (individuals who are trained to portray patients). While simulated patient methodology is well established in medical education, at times I think it has drifted from its original intent. Simulated patients are more likely to be proxies for their clinical teachers than for real patients. I'll be presenting on how and why this has occurred, what we might do about it and why we should do something! Without doubt the role of 'digital' learning will have a profound impact – how learners, faculty and others exchange information – when and its format are already shifting educational design, often in structural ways. In my own area of interest, simulation will comprise a substantial educational method in any medical school curriculum. Of course, simulation is a big term and incorporates many 'modalities' – simulated patients (for learning about communication and other elements of professional practice etc. ), task trainers (for learning procedural skills etc. ), manikins (for learning clinical management of an acutely unwell patient and teamwork skills etc. ), virtual patients (for learning about clinical decision-making etc.) and many more. We'll also be knowing much more about when and how students participate in their educational activity through electronic logging of their studies, enabling personalised study schedules. One issue is identifying what students will need to know for the changing landscape of clinical practice they will be entering AND that these decisions are made when there is an exponential increase in production of medical knowledge. However, patients will always remain at the centre of care and maintaining this person-centred focus is important. We need to support students in developing approaches to their work and study that will enable them to identify what they need to know to provide the highest quality care. The conference programme and format looks really exciting and features the sorts of changes we should be considering in designing educational activities. I am looking forward to many conversations. Time to ditch the textbook? Physician, gastroenterologist and acclaimed medical leader, Professor Dame Parveen Kumar is also renowned for pioneering new approaches in medical education. The textbook Kumar and Clark’s Clinical Medicine, first created in 1987 and now in its 9th edition, remains the ‘must-have’text for medical students and doctors around the world. Noted for its high quality comprehensive content and engaging presentation, Prof Parveen was inspired to create it because she found existing textbooks rather boring. So perhaps it is fitting that her keynote address at the inaugural Transform MedEd Conference, taking place in November this year, should address the role of the textbook in medical education, with the provocative title ‘Time to ditch the textbook?’. "Medical education has changed enormously over the past few decades. From the days of tutor-focused didactic lectures,there has been a paradigm shift to more student-focused educational practices,” said Prof Parveen, who after more than 40 years of clinical practice in the UK National Health Service, remains active as a teacher and examiner for MBBS and MRCP, both in the UK and internationally. “No one approach to education is appropriate for all students, and teaching practices should be adapted across the world to meet local needs. These can be delivered according to an overview syllabus that each country’s governing body prescribes,” Prof Parveen explained. 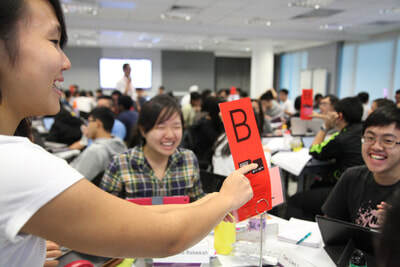 “With medical knowledge expanding so rapidly, the question that always arises is how much information can we, or indeed should we, impart to students who are experiencing an already packed curriculum?” Medical schools around the world are asking whether more can be done to equip students with generic learning skills,enabling individuals to seek out the relevant information themselves. Dame Parveen believes passionately in the importance of global health for medical students. “With increasing ease of travel, ready access to the internet and development of artificial intelligence, we need to train doctors for the world and not for a specific country”. Her major interest in global health led to her latest book, Essentials of Global Health published earlier this year, which she co-edited. This was quite a feat as it was written by over 120 medical students from around the world. “We must never dim the enthusiasm of the young and dis-incentivise them from a wonderful lifelong career in medicine,” she cautioned. As we look forward to Professor Parveen’s keynote talk at the Transform MedEd conference, we can be sure that as well as addressing some of the most important issues in medical education today, she is sure to ignite the enthusiasm of medical students, and indeed of all those involved in the training of tomorrow’s doctors. 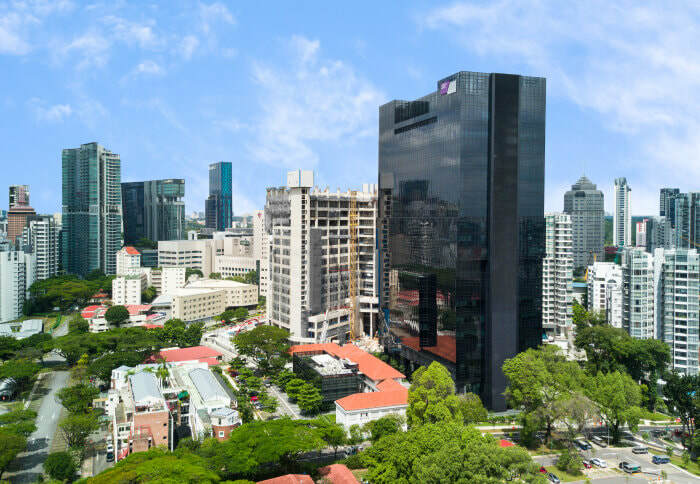 Transform MedEd Conference 2018 will be held on 9 and 10 November this year at the Lee Kong Chian School of Medicine (LKCMedicine), NTU Singapore, Novena campus, 11 Mandalay Road Singapore 308232. 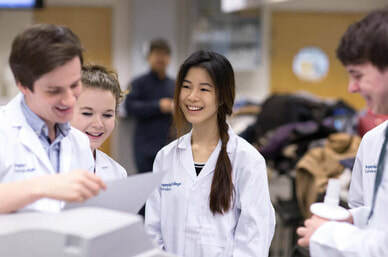 Jointly organised by LKCMedicine and the Imperial College School of Medicine, UK, the international conference will explore the transformation of medical education, with a major focus on innovation and new technologies. 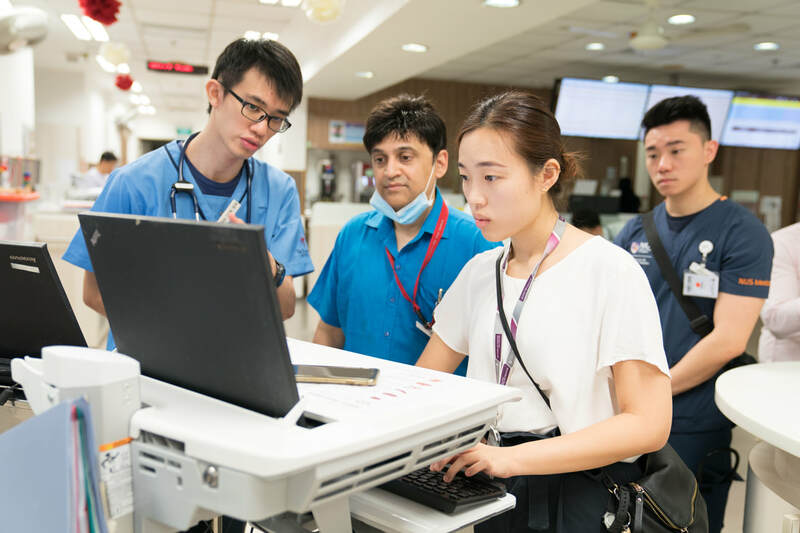 ​The two-day conference will feature international medical education experts and healthcare professionals, with the participation of 200+ participants from Singapore and the Asia-Pacific, Europe and the UK. It offers an exciting programme featuring keynote addresses, panel discussions, scholarly presentations and workshops, to provide new perspectives and ideas. These may be the origin of exciting international collaborations and associations that will transform medical education globally.